If you’ve chosen to spend your precious vacation in Marmaris, and you want to make it as memorable as possible, Marmaris Swim With Dolphins Tour is exactly what you need. 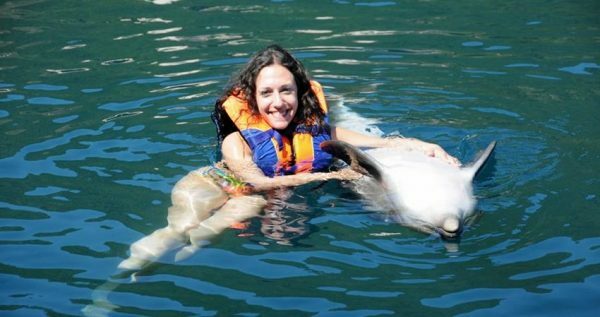 This lovely tour will make your vacation the best one yet, because you will get to swim with these amazing and loveable creatures. 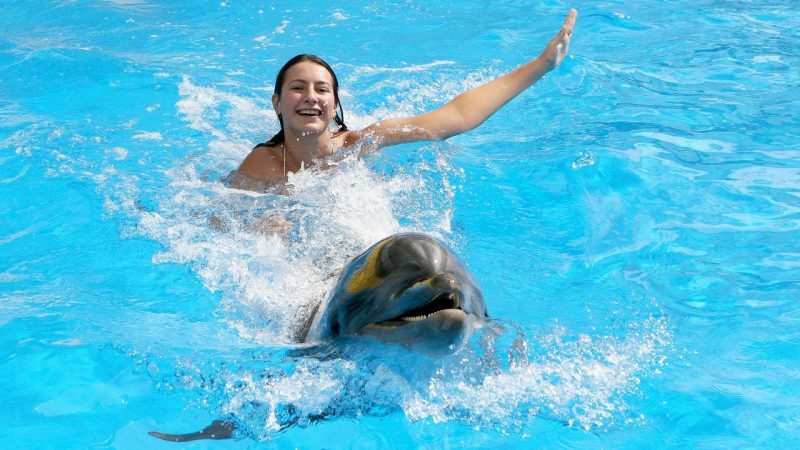 Marmaris Swim With Dolphins Tour will start with a complementary pick-up from your accommodation, followed by a short and comfy ride to Marmaris Dolphin Park. 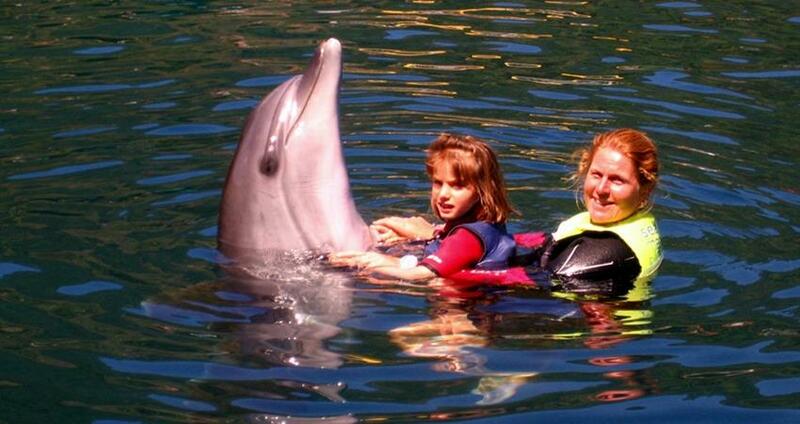 Once we reach the amazing Marmaris Dolphinarium, our amazing tour can begin. 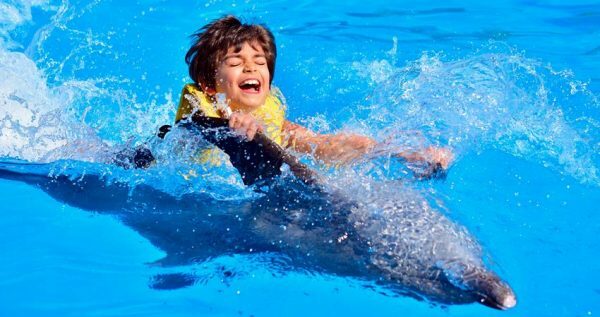 The Dolphinarium is located about 5km from the city center, at the sea front, just 200 meters away from some of the most popular hotels in Marmaris. If you’ve chosen to come and swim with these lovely animals there are a few rules you should follow. All the guests who want to swim with dolphins have to wear life jackets to insure their safety. Children under the age of eight and pregnant women are restricted from swimming with the dolphins, and guests under the influence of alcohol are forbidden from participating in the program. Once Marmaris Swim With Dolphins Tour is over, our driver will pick you up and take you back to your hotel. Each session with the dolphins lasts for about 45 minutes. 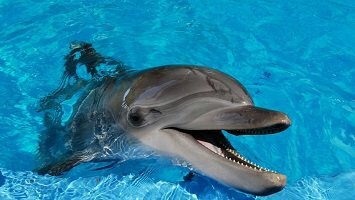 Dolphins are very intelligent creatures, and they are actually in the same family as orcas and pilot whales. 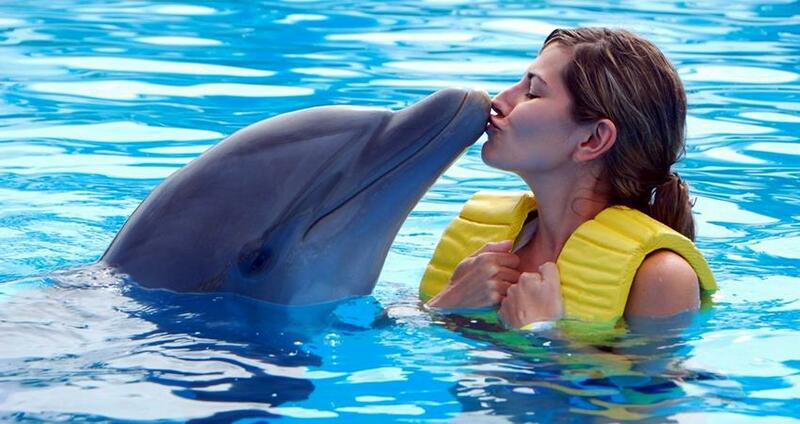 Unlike their cousins, dolphins are very friendly and social animals. They are well known for their playful nature and nice temper which makes them the most popular species among the wildlife of the sea. They are famous for their sudden leaps and spy-hops out of the water. One of their most valuable characteristics is their immense intelligence. Dolphins are also very resourceful, and they follow ships, which helps them preserve their own energy. That innovative technique of swimming alongside boats and big ships is called bow-riding, and dolphins are well-known for it. Don't Apply Any Suncream Before Swimming. 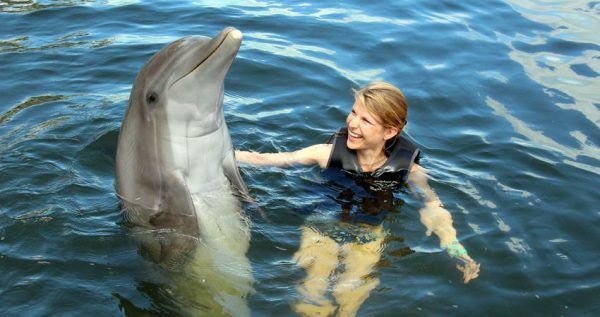 Meet With The Dolphins will be also another interesting tour for you. Marmaris Swim With Dolphins Tour starts with a free pick-up from your hotel, followed by a comfy ride to the Marmaris Dolphin park. 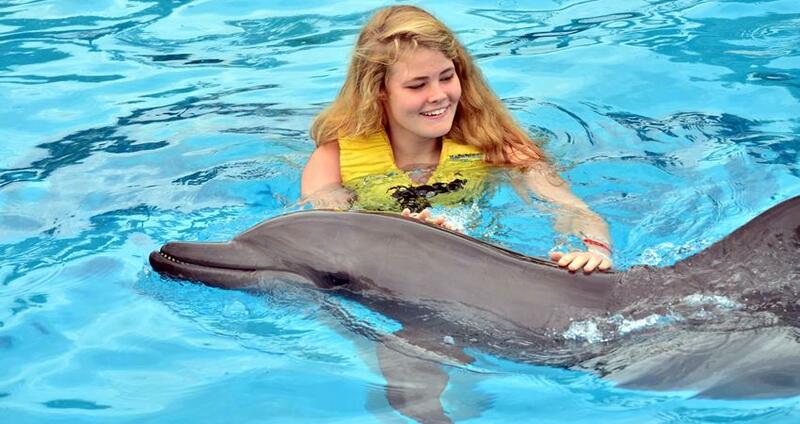 The park is open for visits every day, and it usually offers four sessions with the dolphins between 10am and 5pm. You can choose your time and then we will arrange the transfer accordingly. 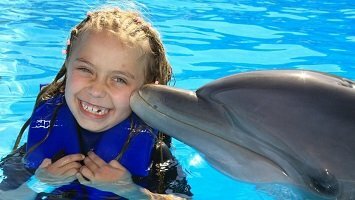 Once we arrive, you will be greeted by a professional dolphin trainer, who will tell you more about the rules and regulations of the park, as well as some basic things that you need to know before swimming with the dolphins. 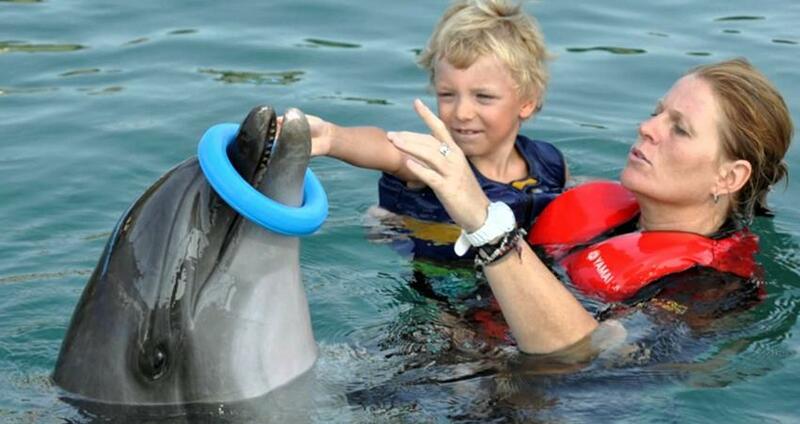 This part probably sounds boring, but it is necessary because of your safety, as well as the safety of the dolphins. Before you actually get to take a swim with these amazing creatures, you will have to go to the changing cabins and change your clothes. You should also know that you mustn’t use any sun cream, sun block or any other skin lotions, as they could be poisonous for the dolphins. 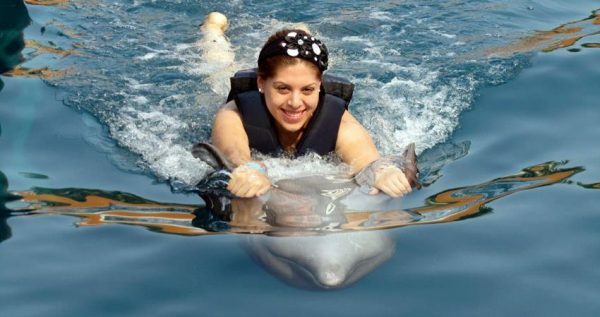 We will also provide you with a life saving jacket, that you will have to wear during your play-time with the dolphins. Your adventurous swim with these wonderful creatures will last for approximately 30 minutes. 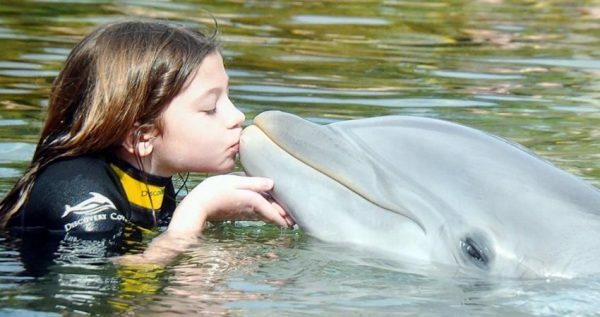 During that time, you will to kiss the dolphins, dance and swim with them. 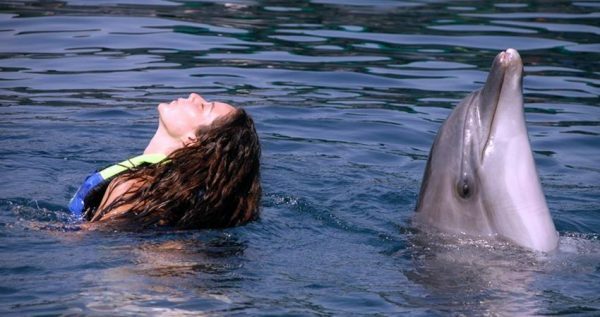 The instructors will be nearby, to ensure that both you and the dolphins are safe, and gentle wit each other. One of the most popular activities is the belly ride with the dolphin. While you have your play-tome, our professional photographer will be taking pictures and videos. 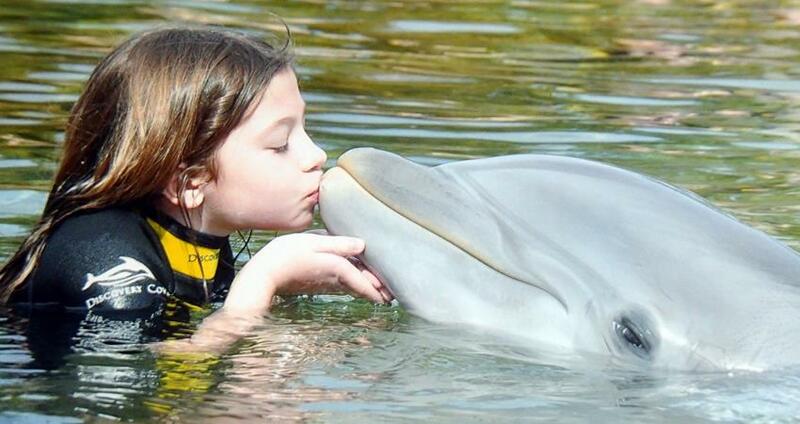 Once your session with the dolphin is over, you can see them and if you like them you can buy them as a souvenir. Once this lovely tour is over, our driver will take you back to your hotel. This transfer back is also complementary, and you don’t have to worry about paying extra.